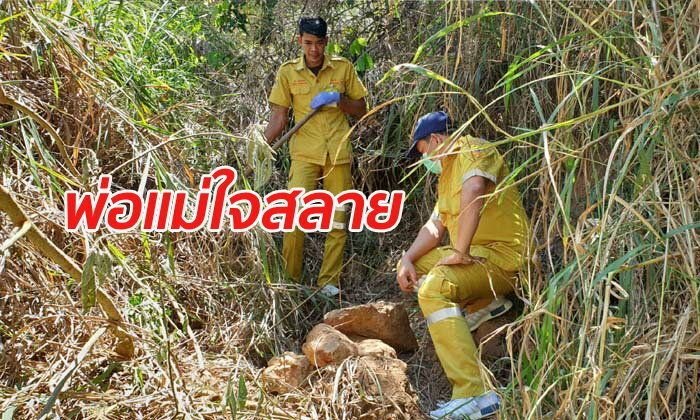 Police in Hua Hin yesterday found the remains of a nine year old boy who had been missing since Sunday. He had been shot and buried in earth under heavy rocks near the village where he lived. His distraught family said the spirit of the boy led them to the grave after a three day search turned up nothing. Somporn and Pojae, the mother and father of Kluay, 9, a P3 student at Ban Phraek Takraw school reported their son missing on Sunday to phu yai ban Sawat Chuyim. Relatives searched for days until the couple's youngest of five children said that Kluay's spirit had appeared to him and pointed to a hill near the village. The parents subsequently went to the area of a disused pineapple plantation on a hillside and found a disturbed mound of earth covered in heavy rocks. 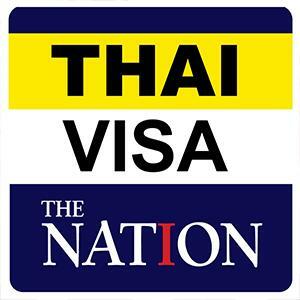 They called the Ban Nong Plap, Hua Hin police. Their worst fears were realized when the body of their fourth child was discovered under 30 cm of earth. He had been shot in the left side of the waist. He was sent for an immediate autopsy. The mother and father said that their son was a wonderful boy who loved Thai boxing and would take part in temple fair boxing matches and always give his appearance money to his folks. They are a very poor family, they said, with no fixed income. Sanook described a pitiful scene as the parents saw their fourth child raised from his grave. The media gave no reason why the boy might have been murdered and no police were quoted in the story. They said that villagers in the area said this was the worst case in ten years and they urged the police to find the murderer without delay.